Animation Paper - WIP user interface. You can read more about the new look Animation Paper currently in development and the all new website - as well as discover some of the history of the software and its creators too. For now you can support the software's development simply by signing up to the new website to receive updates on the software's progress. 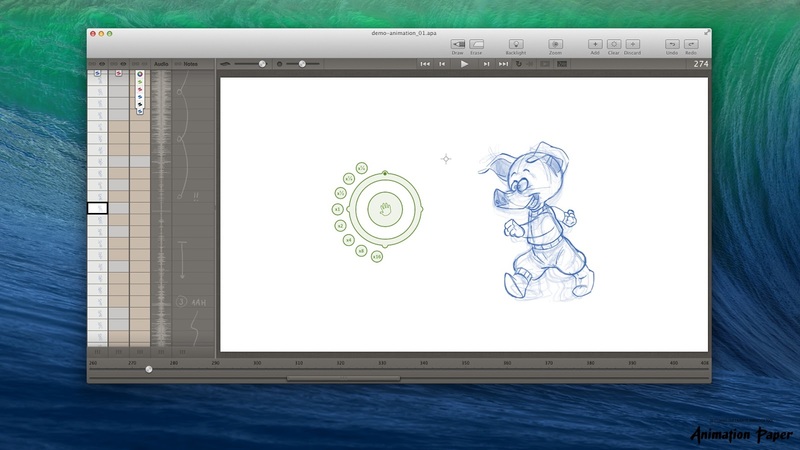 The more people who sign up, the more likely it is that the developers will be able to convince investors that there is a market for a brand new version of one of the finest hand drawn animation tools out there. Also if you sign up before the end of March 2014 you'll be eligible to receive an early bird discount when the new version is released for sale. If you've never tried PAP then the original is still available for download from the Animation Paper site. I highly recommend it. There's a bit of a learning curve because of the outdated user interface but once you learn where everything is you'll want to use it just because it's fun.